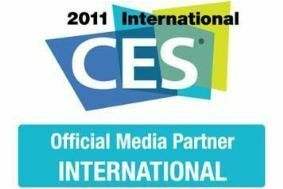 Countdown to CES 2011, Las Vegas | What Hi-Fi? As the official European media partner for this year's event, along with our colleagues at Stuff.tv, we'll be there in force, bringing you daily updates of all the breaking tech news, video show reports, blogs and analysis of emerging trends, plus pictures of the hottest new kit. You'll be able to follow it all on our special CES news channel, as well as on our Twitter and Facebook pages. Then on Thursday, January 6th from 7-8pm (UK time) we'll be running our first live CES forum here on whathifi.com when you'll be able to chat with the powers-that-be from Sony. It's your chance to quiz them about the big announcements made at the Sony press conference the day before, which you'll be able to read about on our dedicated CES news channel. We expect to hear about the latest 3D technology, streaming audio and video, OLED developments, Blu-ray updates and portable technology – will Sony unveil a rival to Apple's iPad? • The continuing decline of CD: 2011 will be the year streaming and digital downloads become the norm. Will Spotify finally make it to the USA? And don't forget you can find out more about what's in store at CES 2011 in our special blog.